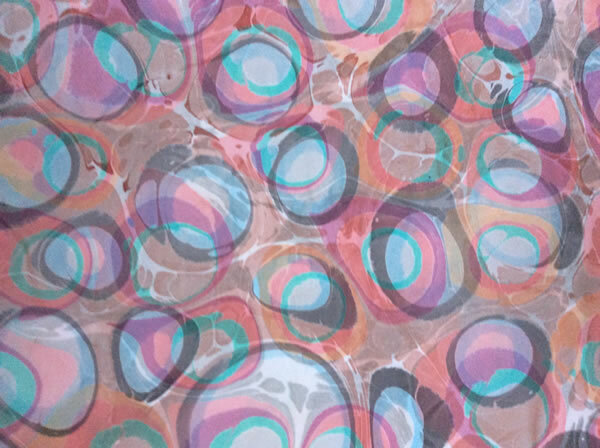 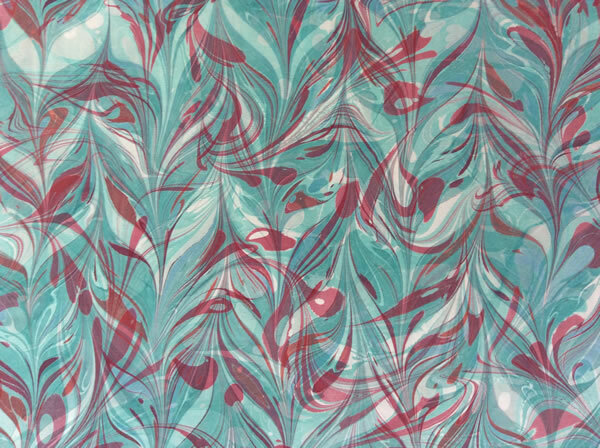 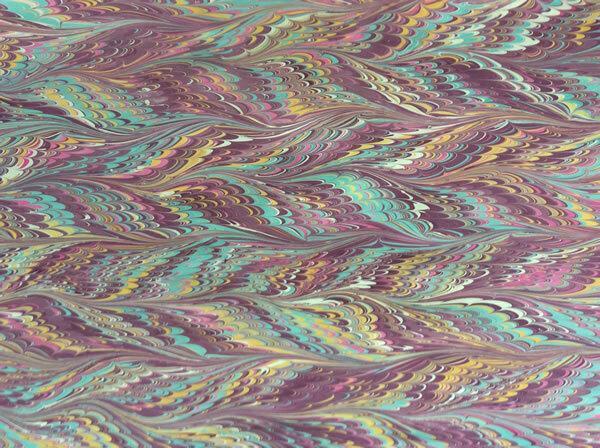 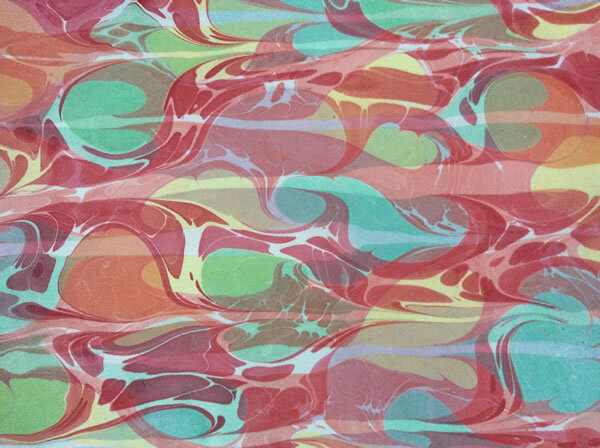 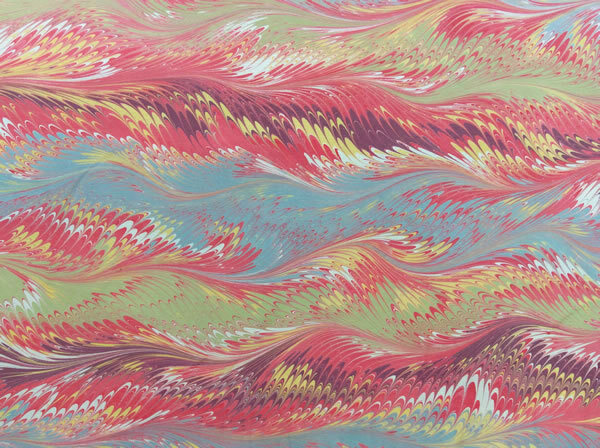 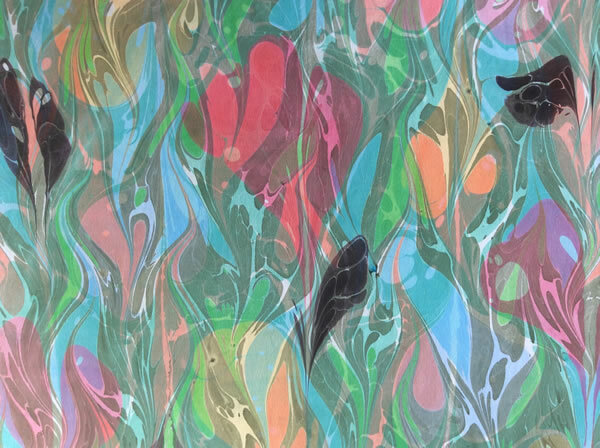 Marbling is one of the oldest techniques for decorating paper, where inks are suspended in a wet bath. 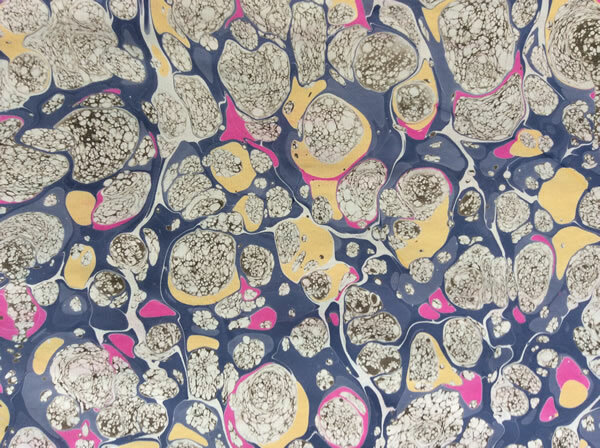 Sheets of paper are then set down, absorbing the play of inks and their singular movements. 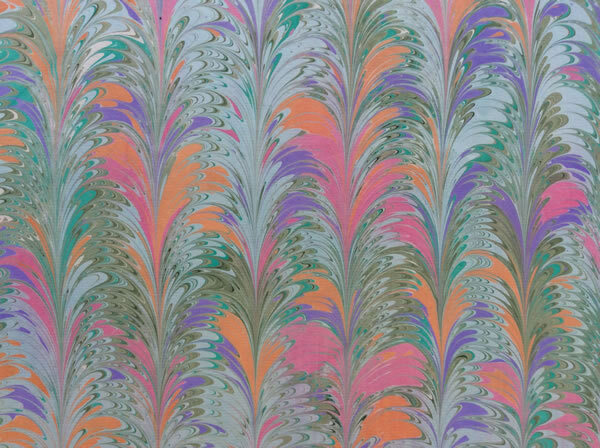 While each paper is unique, one can create series of designs that resemble each other. 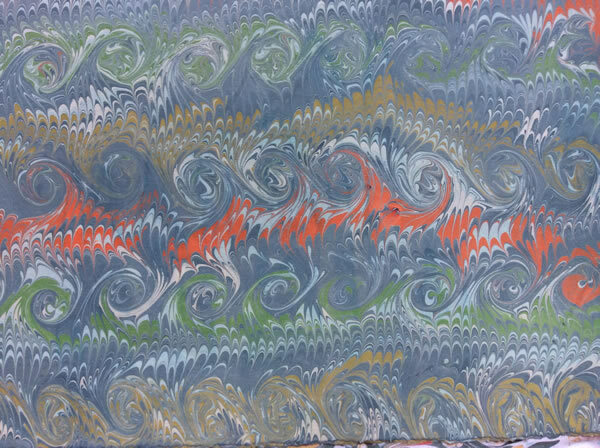 Classic papers - those combed or stippled - require absolute mastery of this quite unforgiving technique. 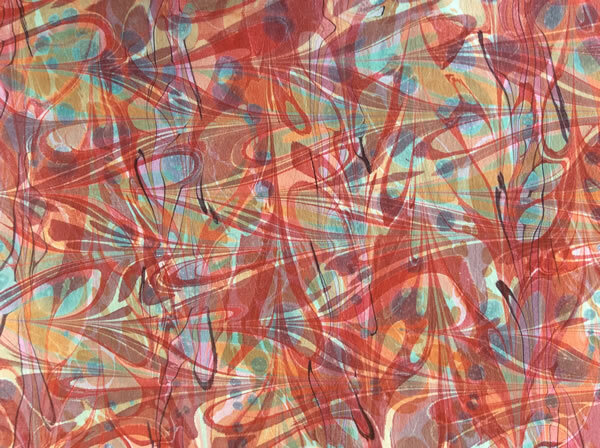 What I love most, however, is to deviate a bit from the standard path, inventing new motifs by superimposing several layers of ink, playing with the layering of surfaces, the end result feeling a bit like me.